The simplest way to relieve the headaches associated with buying from multiple vendors is to purchase multiple products or a kit from one source. 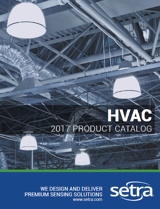 To save time, going to a single supplier for multiple products streamlines specifying, selecting, and ordering everything you need for your critical environment. With a kit, products have been pre-tested for hardware and software compatibility, making it faster and easier to install, integrate, and operate products. When buying from a singular source, the scouring of multiple websites to find any needed documentation is eliminated; all documents can be found on and downloaded from one website. If support - tech or otherwise - is needed, a single support team can assist with all facets of pre- and post-sale support. Eliminating the time wasted and stress related to incompatible products is a motivation for us. Now we offer peripheral monitoring and sensing components compatible with our best-in-class FLEX monitor to save you time and resources. Product bundles with Setra FLEX are future proof, adaptable to whatever conditions and regulations come down the road. In addition to being future proof, it is easy to add extra peripheral devices or BACnet data points; each FLEX can support up to 3 rooms and up to 6 parameters per room for monitoring. When purchasing multiple products from one vendor, you want to choose a company that will provide you with a safe, stable investment, backing you and your critical environment. Setra has been supplying superior sensing products for 52 years and will stand behind the products you need for your space.